Versatile and stable. For both automatic and manual transmissions. D4 ATF is a full-synthetic product designed with superior low-temperature properties compared to a Dexron III® fluid, and the improved shear-stability requirements which is part of the Mercon V® specifications. 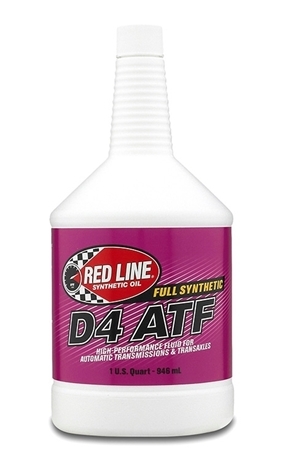 D4 ATF also provides a GL-4 level of gear protection, making it a superior product for transmissions and transaxles. The balanced frictional characteristics provides smooth and consistent shifts for extended drain intervals. The superior stability compared to petroleum ATFs allows high-temperature operation without varnishing valves and clutches which leads to transmission failure.